Cooking toys that make real food is an awesome toys! Every little chef enthusiast dream to cook their own signature dish with their cooking tools that fit them. Remember how your mom bake your favorite cookies and you just can stare at it while it bake when you were kids? Well for kids today, it is thanks to high technology cooking toys that can make them involved more in to real cooking than just playing pretending but actually making real eatable food with their own safest cooking toys. How awesome is for your kids to have their own kitchen tools to cook their own creation. 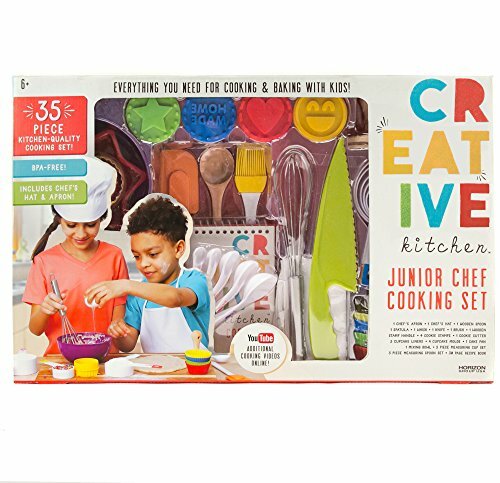 This will spark creativity and make them get used to cooking tools that exactly like the real one. You sure will be jealous of their cooking toys tool as there are more advance then you got in the kitchen. You will even think of to get these cooking toys for you own collection in your lovely kitchen. In this post we will gather the top 21 cooking toys with the capability of making real food that you can eat. Find the one that fits your kids. You can click on the picture to buy the cooking set! 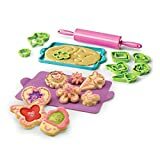 Easy Bake Oven + Star Edition Ultimate Super Pack Refill Set. Kids Size, pay attention to the age the toys is design for, you don’t want it to big for your children or even to small. Every toys have their description on what age is appropriate for. Not for children under 3 yrs toys. Most of cooking toys especially that can make real food comes with small parts, so they really not good for little kids under 3 years old. 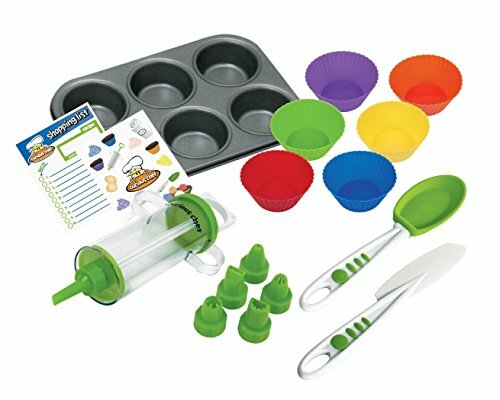 Your kids will make the picture perfect desserts with The Ultimate Baking Starter Set specialty utensils. 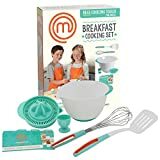 This is an all-inclusive kit containing kid-friendly real-working kitchen tools that take the legwork and mess out of cooking with kids. You will keep everything neat with Mixing Bowls that suction in place. Your kids will love the One-Touch Egg Cracker that is really fun to use and keeps all your kids mixes shell-free. 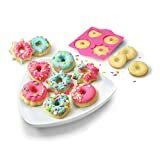 This kids cooking baking set comes in real silicone! The package will provides everything your kids chef needs for any cooking project! 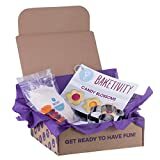 You will quickly decide that cookies and cupcake are even more fun when you’ve made your snack with the help of your kids and this 15 pieces barley Baking Sets! 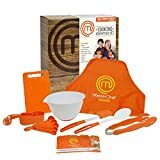 This cooking set toy is officially licensed from the famous MasterChef Junior TV show and the named this set by Cooking Essentials Set. This little chef cooking kit comes with an apron, cutting board, mixing bowl, measuring cups, measuring spoon, spatula, spoon and tongs. They also give you 3 unique recipe cards for all levels of experience, plus 1 blank recipe card to write your own recipe! Featured with real cooking tools with kid-safe grade, non-slip silicone grips for Ages 6 and up. 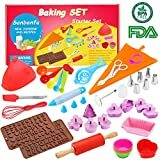 This baking set toys includes all tools, mixes and decorations, all your kids need is just to add eggs, oil, and butter and bake in the real oven. The packages also comes with 14 cookie cutters that are easy on little hands. You also get the silicone baking sheet that cools fast and cleans faster. With mini rolling pin and rolling guide make even dough every time you need the delicious cookie! These cooking playtime moments will not only create memories that last a lifetime, but they will also teach your child practical cooking and baking skills, kitchen safety and simple science through hands-on experimentation. The BPA-free kitchen-quality tools include measuring sets, a chef’s hat and apron, cookie stampers, classic cooking utensils and more. 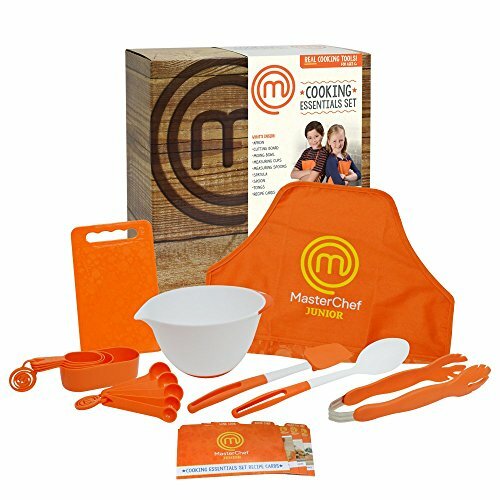 Ideal for the aspiring chef, this set makes the perfect gift for beginners in the kitchen! Recommended for junior chefs ages 6 and up. This cooking playset consist of kitchen quality kids cookware with feature of dishwasher safe, BPA-free cooking and baking utensils are included for use in a real kitchen. Also it comes with recipe book of 20 different kid-friendly recipes from breakfast to dessert! How cool is that? Introduce kids to real baking and Real Cooking equipment as they turn into little chefs. Real Cooking by skyrocket toys is a line of baking kits that empower kids to make beautiful & delicious treats using real ingredients. Each all-inclusive kit contains kid-friendly, real-working kitchen tools that make baking easier, tidier & fun. To create Real Cooking delights, just add natural ingredients to the baking mixes (made in the USA) & pop them in the kitchen oven. Curious Chef is the first complete line of actual cooking tools designed specifically for kids to encourage culinary learning, collaboration, and confidence. 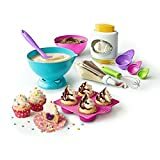 These kit includes: 6 cup muffin tin, frosting decorator, 6 unique decorating tips, 6 silicone cupcake liners, spoon, frosting spreader, stickers plus more. A perfect cooking tools for young gastronomic apprentices ages 5 and up. 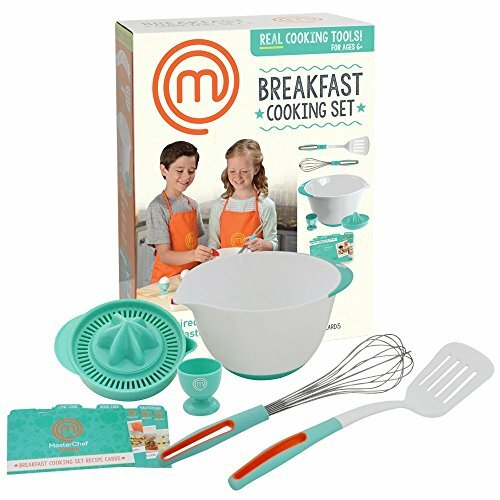 This fantastic kit not only includes precise cooking instructions, but also contains all the necessary ingredients necessary for our delicious recipes, so you don’t need to hassle to prepare the ingredients for your kids cooking activity. This is a baking kitchen set that really stands out, allowing you and your loved ones to appreciate and enjoy your fun cooking moments. 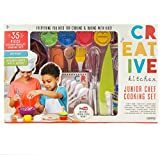 This premium 19 piece baking set is perfect for introducing your little ones to the joy of cooking. These all tool just like a smaller versions of professional grade cookware. Each real kitchen tool is durable and will last for years to come. Comes with generous set of: Spatula, Whisk, Brush, Rolling Pin, Large baking Pan along with Cake Trays and Chocolate Moulds will turn your kids into master chefs in no time and all are made of food grade silicon which is BPA free and dishwasher safe for easy cleaning. 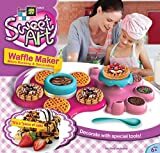 AMAV comes with this Edible Sweet Art Waffle Maker that is great for family activity where you get to make your favorite treat. Try to help your kids to explore their inner chef and learn about baking, temperatures and new food textures. Just add waffle mix or use the original AMAV waffle mix, included recipe to create your own homemade waffles. This Waffle Maker is a great gift for Christmas, birthdays or any other special occasion. Here’s the perfect set for every child who wants to bring her dreams of unicorns and rainbows to life through the fun of real baking – the Ultimate Unicorn Baking Party for Kids from Handstand Kitchen! Kids love to make something special for their friends and loved ones for birthdays, celebrations or just… because! With this fun set, your child will have everything needed to create any fanciful unicorn treat that one can imagine! 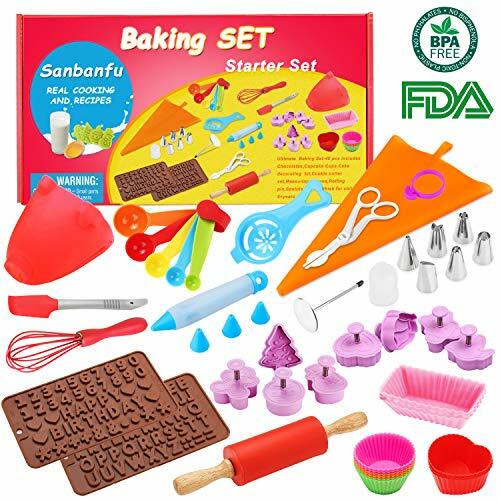 The baking utensils included in the set are sized to be easily used by both older children and adults and each piece is sturdy enough to be of everyday use in your kitchen. 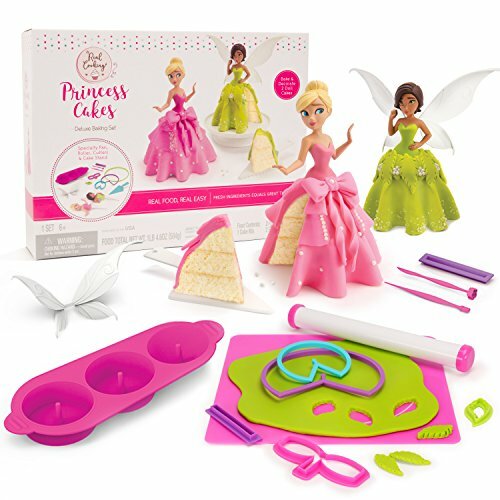 Set includes: 7 fairy tale cookie cutters, 1 unicorn shaped silicone cupcake mold that makes 6 cupcakes, 1 frosting bag with 3 frosting tips, and a recipe leaflet and sticker sheet. 1 spatula, 1 pastry brush, 1 mixing spoon, 1 silicone loaf pan, 6 silicone baking cups, 1 rolling pin, 1 whisk, and 5 recipe cards. The Playful Chef Deluxe Cooking Set from MindWare is real cooking for kids and provides hours of interactive family fun. Help kids learn valuable life skills and build healthy eating habits that will last a lifetime! Studies show that cooking facilitates language skills, builds confidence and starts family traditions. 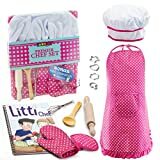 THE CHEF DRESS UP CLOTHES FOR LITTLE GIRLS – Girl or toddler apron, chef hat, oven mitt, glove, whisk, wooden spoon, rolling pin and 4 cookie cutters, all you need for kids baking or kids cooking. Real Cooking Baking set: It’s a complete set of the Gloves, spatulas, mat, cups, whisk, brush, and a cake pan. In short, it carries every silicone product what you’d ever need when baking/cooking. No need to waste hours selecting different products from numerous vendors, here we’ve got the best versions of all your needs.